The lightbulb moment has happened, you’ve done your research, and decided that, yes, your idea for an invention is definitely a good one. Now what? Before you sign up to appear on the next season of Shark Tank, take a deep breath because you’re in for a journey. An inventor’s journey involves designing, protecting, and commercializing inventions. As a small business advisor, I have seen many new businesses not take the correct steps in protecting their ideas and property. First, you’ll need to design your product. What problem does the product attempt to solve? What is its purpose? While you may have tinkered with your concept and have a working prototype, you may want to involve professional product developers at some point. Professional product developers can help you with the design of the item itself as well as with prototyping, creating computer aided design (CAD) files for manufacturers, and developing professional presentation materials to help you sell your idea to investors as well as include with your patent application. 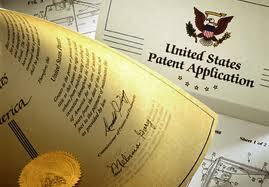 Inventions are protected through a process known as patenting. 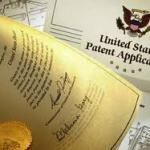 Several types of patents are available including: utility patents, plant patents, and design patents. In addition to patents, some forms of intellectual property such as books, songs, works of art, symbols, and even sayings can be protected through either trademark or copyright protections. Protecting an invention through the patent process typically begins with conducting a patent search and filing a patent application. Patent searches are highly recommended to ensure that your idea is indeed unique and patentable. During a patent search, you may discover that your idea is too similar to others or not commercially viable in its present form. This discovery process can prompt you to fine-tune your invention or scrap your idea before spending a great deal of time and money on the patent application process. Because patent applications are highly technical legal documents with huge implications, it’s vital to have an experienced patent professional handle the wording. Non-provisional utility patents typically include detailed descriptions, drawings, claims (the most important part of your patent application), and an abstract. If your invention is still in the early development stage, you can file a provisional patent which provides “patent pending” protection while providing you with 12 additional months to fine-tune your ideal and apply for a non-provisional patent. Finally, it’s time to get your invention into the hands of its intended users. Launching a new product is a major undertaking that involves product development, testing, obtaining financing, finding a manufacturer, and finding customers. If you’re a Shark Tank fan, you know that investors like to see a track record of proven sales more often than mere proof of concept (though they’ll occasionally go into a feeding frenzy for some inventions). Getting your invention to move from idea to market is a long, but often rewarding, process. It’s a journey that many inventors choose to take with professionals on their side, guiding them through the legal complexities of the design, patent, and commercialization processes.